Notes: Warbreck station opened on 1 August 1929. 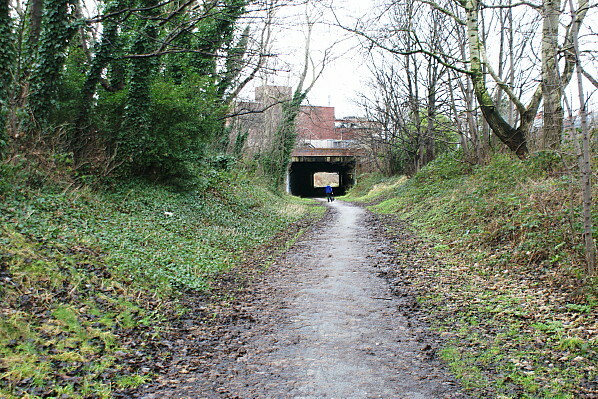 It was situated on the Cheshire Lines Committee (CLC) line that ran between Halewood and Southport Lord Street which opened in two stages, first between Halewood and Walton on 1 December 1879 (through to Huskisson Dock opening on 1 July 1880) and from Aintree to Southport on 1 September 1884. The line connected with the CLC Liverpool and Manchester route at Halewood providing links with Liverpool in the west and Manchester to the east. The CLC was a joint line that since 1923 had been two-thirds owned by the London & North Eastern Railway (LNER) and one-third by the London, Midland & Scottish Railway (LMS). 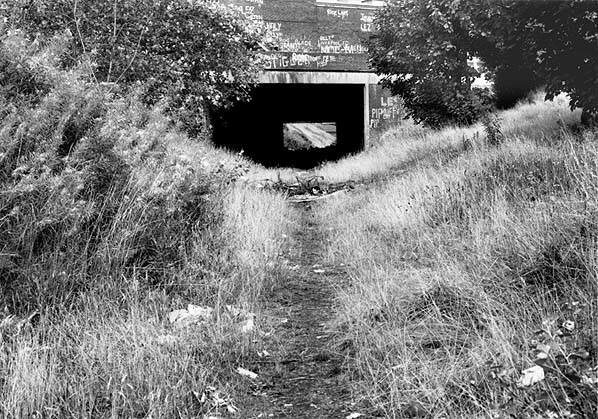 Warbreck station was located in a cutting on the south side of Walton Vale, which was a busy thoroughfare at the point where the Liverpool and Ormskirk road had its junction with Longmoor Lane. Walton Vale had already developed into a settlement of some size by the time the CLC line was built, yet no station was provided; this was perhaps because there were stations close-by on the Lancashire & Yorkshire Railway (LYR) network (Preston Road on the Liverpool – Bolton Line and Orrell Park on the Liverpool – Preston line) with more direct connections to Liverpool and Manchester. Even when the line had been extended to Southport they were not persuaded to provide a station. By the late 1920s the situation was somewhat different. Although hours were still long for the average worker there was increased leisure time, and by 1925 1.5 million manual workers had paid holidays of at least one week. Day trips to seaside resorts such as Southport had become very popular, and Walton Vale and its emvirons had grown into a densely populated suburb of north Liverpool. It was to attract some of this potential custom that the CLC opened Warbreck station. The journey time to Southport from Warbreck was only 35 minutes which was very competitive with the nearby LYR station at Orrell Park where a change of train would be required. 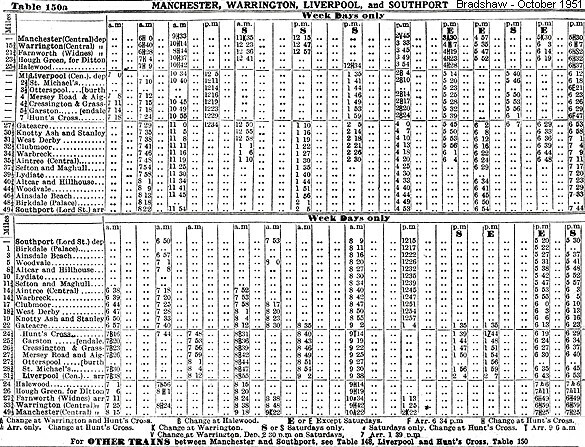 The Summer timetable for 1932 showed Warbreck as having ten trains in each direction on Monday-to-Saturday. All of the down trains operated to Southport Lord Street. There were even two services in each direction on Sundays during the summer period. As well as the scheduled services excursion trains also ran from Warbreck in the 1930s. Although the station would have been popular at the height of the summer it would have been little used in the winter. During the Second World War passenger services on the line were cut back. The route through Clubmoor was of national strategic importance as it provided a link between Britain’s western gateway (Liverpool Docks) and the rest of the country. The line was extremely busy, freight trains running day and night almost in convoy. The only exception with regard to passenger services was between 24 December 1940 and 5 July 1941. Heavy bombing had damaged the extremely busy commuter line between Southport Chapel Street and Liverpool Exchange at the Liverpool end of the line. To enable Southport commuters to travel into the city and return home each day extra trains were provided between Liverpool Central and Southport Lord Street. The journey would have taken much longer, but it allowed the city to continue functioning. These trains would not have called at Warbreck. On 1 January 1948 the CLC became part of British Railways London Midland Region. The summer timetable for 1948 showed Warbreck as having nine up trains and eight down on Monday-to-Friday as shown in the table below. There were ten up and eight down on Saturdays and four in each direction on Sundays. 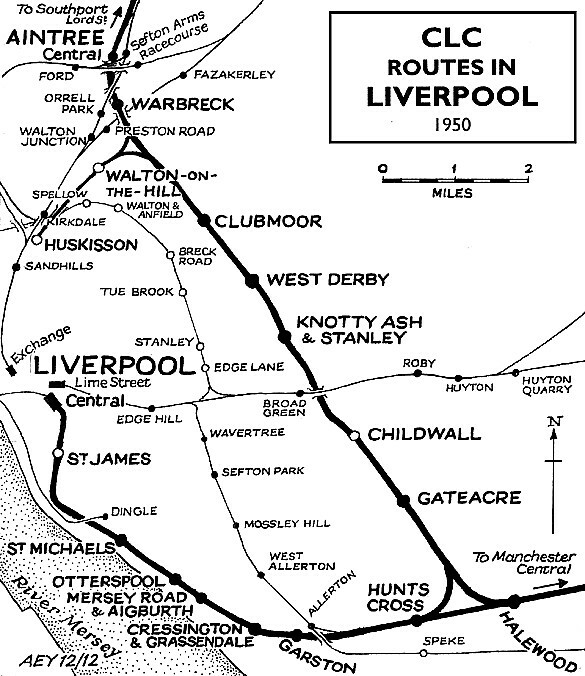 The new nationalised railway saw no need for the for the line northern section of the line as it could run trains to Southport Chapel Street via a connection with the former LYR network at Aintree. The line north of Aintree passed through sparsely inhabited country and was unremunerative. Passenger services between Aintree (which British Railways renamed Aintree Central on 1 July 1950) and Southport Lord Street were withdrawn from 7 January 1952. Warbreck was left with a scheduled train service that ran in the main between Aintree Central and Manchester Central. By the summer of 1957 its service had been reduced to only three up and three down trains Monday-to-Saturday as shown in the table below. With the last up departure being at 8.10am and the first Monday to Friday down departure being at 6.07pm the service was next to useless for anything other than work journeys. As Warbreck had been mostly aimed at Southport day trip traffic it can have seen little use and it is amazing that British Railways kept it open. Nevertheless British Railways carried out some modest updating of station signage, installing maroon totems at Warbreck as well as at Knotty Ash, Clubmoor and West Derby. It came as little surprise when British Railways proposed the withdrawal of the train service in 1960. The last regular trains to serve Warbreck ran on Saturday 5 November 1960 and the station closed completely on Monday 7 November 1960. Being of simple construction the station was demolished after closure leaving little trace. The line itself was used by Grand National race day excursion trains until 1963; it then went into decline. 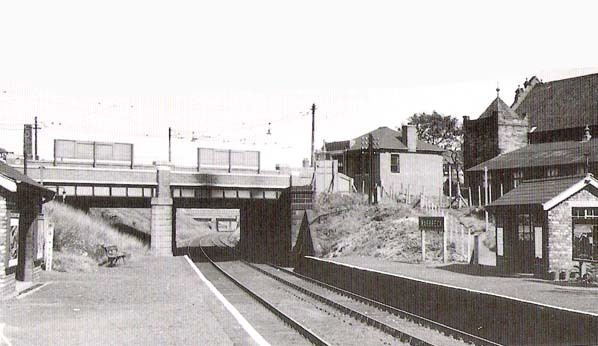 On 22 September 1968 the section of line on which Warbreck stood, between Fazakerley South Junction and Aintree Central, was taken out of use and was lifted shortly after. By the early 1970s the Merseyside Passenger Transport Authority had come into being. Based on plans that had been drawn up by the local authorities in the 1960s the line through Warbreck took on a new significance. 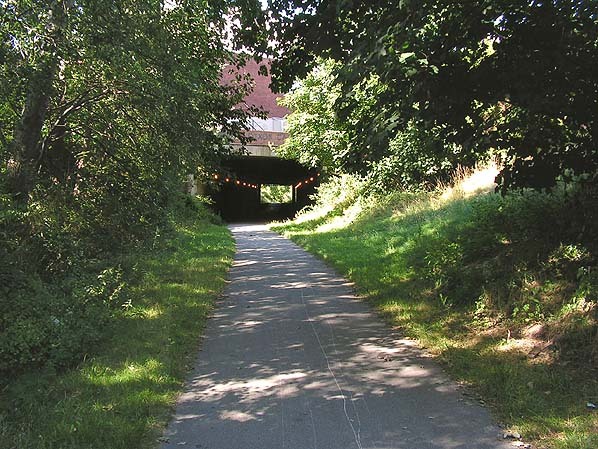 It was proposed that an outer belt line be created along the former CLC North Liverpool Line, and it was actually authorised by the Act of 1971. Although many of the lines proposed in the 1971 Act were created the economic downturn of the late 1970s and early 1980s ended hopes for the belt line scheme. 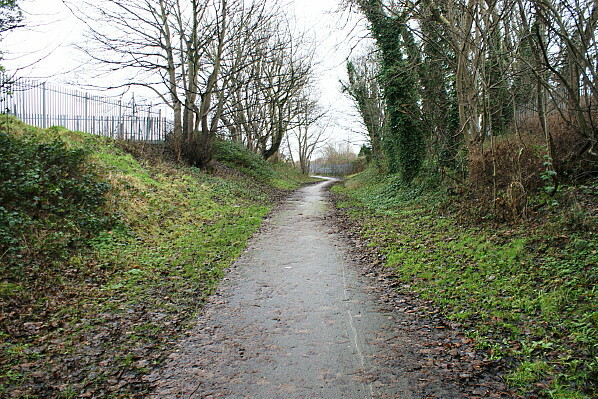 In the early 2000s a footpath and cycleway called the ‘Liverpool Loopline Path’, part of the Trans-Pennine Trail, was created through the site of Warbreck station. Tickets by Michael Stewart, and Bradshaw by Nick Catford and route map by Alan Young. The Cheshire Lines Committee, by P Bolger, Heyday Publishing Company 1984. BR (LMR) Summer Timetable 1948. BR (LMR) Summer Timetable 1957. Cheshire Lines Committee Signal Box Register, M J Addison & J D Dixon 1996. Warbreck station looking north in the 1930's.The station was provided with only the most basic of fascilities. The ticket office can be seen at street level on the right side of the bridge. Warbreck station shown on a 1928 map. Looking north at Warbreck station in August 1983. Shops were built on either side of Walton Vale after the station had closed creating a tunnel where once there had been an overbridge. Warbreck Station in August 2005 taken from a similar viewpoint as the picture 1930s picture above. The site of Warbreck station looking south on 29 December 2012. Looking north at the site of Warbreck station on 29 December 2012.